Michael Hodge is the talented guitarist, producer and worship band leader at Lakewood Church in Houston, Texas. In addition to being Michael’s wife, Carrie Hodge is a gifted vocalist, recording artist and worship leader in her own right. Add award-winning arranger Phillip Keveren and a full orchestra of world-class musicians, and the result is The Heart of Christmas, one of the most glorious Christmas recordings in years. In this day and age of synthesizers and samplers, we’ve almost forgotten the resplendent sounds of real strings, brass and woodwinds. The arrangements of The Heart of Christmas are fresh and new, while acknowledging the traditional sounds of the classic Christmas albums we all cherish. Highlights include Carrie’s unique interpretations of favorite carols, and her duet with Latin artist Marcos Witt on a new arrangement of “Mary Did You Know?” that redefines this modern masterpiece. The Heart of Christmas represents everything we love about Christmas albums of the past, with the pristine sounds of modern recording technology, yet embodying Michael and Carrie’s desire to inspire us to worship and adore our Savior as we celebrate His birth. 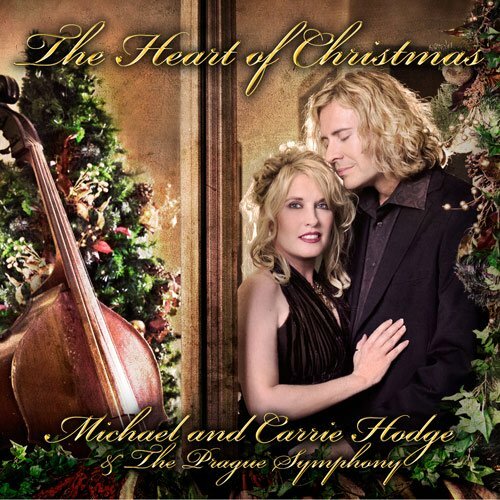 The Heart of Christmas is a gorgeous recording that features Carrie Hodge's vocals, Michael Hodge's virtuoso guitar work, and the lush sounds of the Prague Symphony Orchestra.